Today 82% are used on site, 10% for Methanol and 8% for other industrial applications. Onsite 1/3 goes into gasoline de-sulfuring and upgrading while the bulk goes into fertilizer production. In gasoline refining, Hydrogen is the most important intermediary, helping to platform lower grade Carbon Hydrides to higher potencies. Except for chemical/petrol refining industry, in recent years renewable energy is a hot topic since human being address the fossil fuel is limiting and the environmental hazard that comes along. 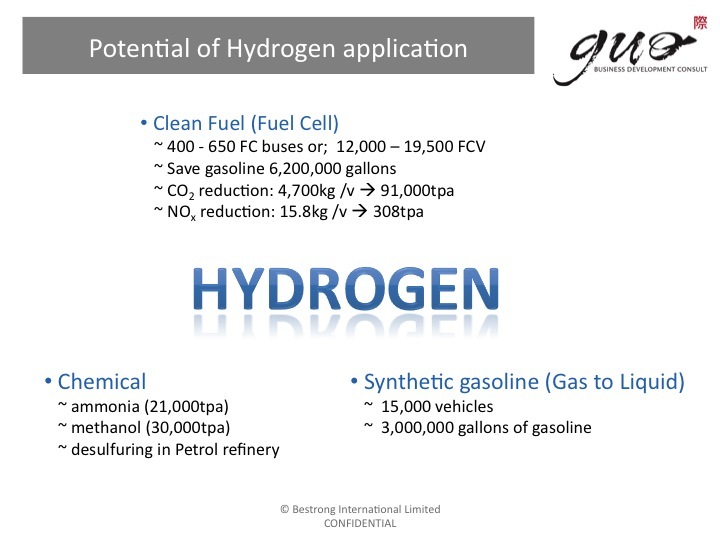 In substituting petrol in transportation sector, Hydrogen based Fuel Cell is one of the possible ways in providing energy for mobility. Due to its higher energy efficiency of Fuel Cell could reach 50% (by compared with the internal combustion engine efficiency = 25%), the higher well-to-wheel ratio is also attractive in Automotives. 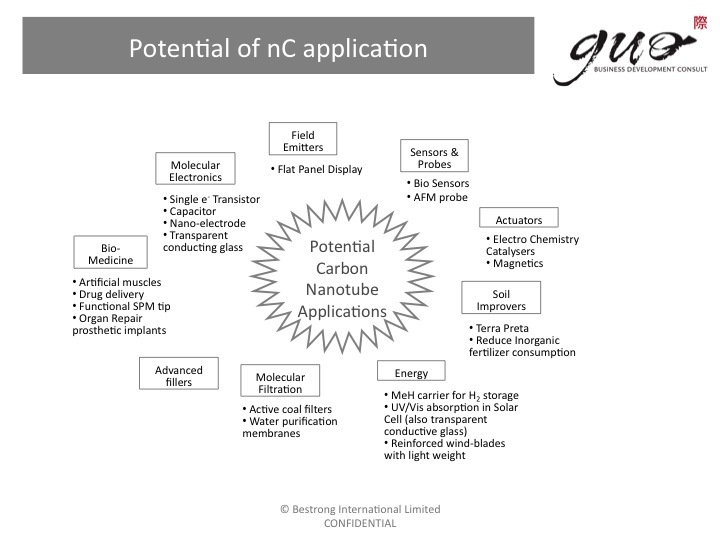 Superior fillers for thermoplastic materials, adjustable electrical conductivity of nC filled plastics will soar replacement of metal in household- appliance, automotive, Solar Panel and handheld wireless, etc. Industries, with all the advantages from weight savings, corrosion free, surface smoothness and freedom in design, injection molding or extrusion allow.